Neogames Finland is a member-based non-profit game industry organization. Our mission is to accelerate, coordinate and support the development of the Finnish game cluster. Neogames’ members represent all sectors of the game industry from business to education and research. Neogames is an impartial umbrella association, and we serve the shared interests of all industry players. Our aim is to provide a solid and growth-oriented operating environment for the Finnish game industry as a whole. Neogames operates very pragmatically and our work is guided by the needs of an industry in a constant state of flux. We do work that benefits everyone, but for which an individual organization may not have the resources. Our services include organizing group trips to international events, coordination of cross-industry development projects, cooperation with ministries and the political sector, organizing domestic networking events, promoting media relations both domestically and internationally, and the production of various surveys and reports related to the Finnish games industry. Neogames is also the information center of the Finnish game industry, and the coordinator for Tekes’ Skene – Games refueled program. As the hub of the industry, we are the fastest channel to information and contacts within the Finnish game industry. We offer a wide range of services to all key actors in the Finnish game industry. We help developers, industry bodies, game educators and researchers to meet common goals. Together with our public sector and regional partners, we can help investors, international game companies, and publishers partner up with Finnish game companies. Neogames is the national industry body that represents the Finnish game industry in international associations. Suomen pelinkehittäjät ry, the national association of Finnish game studios, is a member of Neogames and Neogames is the representative of Suomen pelinkehittäjät ry. At the international level, Neogames is a founding member of the Nordic Game Institute (NGI) and the European Games Developer Federation (EGDF). The former is a pan-Scandinavian organization for national game associations, and the latter is the European umbrella organization for game developers. 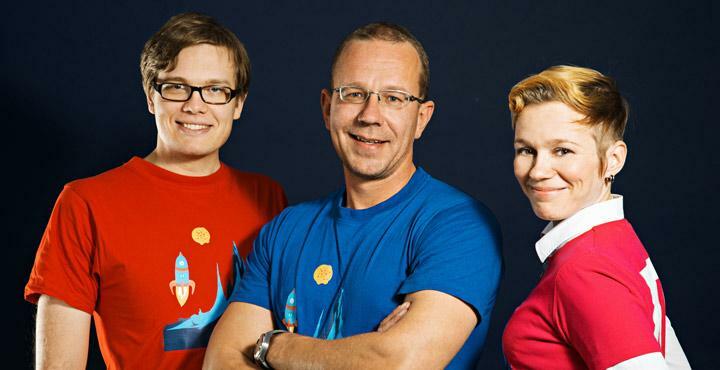 Neogames Finland is cooperating closely with IGDA Finland association. IGDA Finland is the local Finnish chapter of the IGDA. The chapter has been recognized as one of the most vibrant and fastest growing chapters by the IGDA when they awarded us with the IGDA MVP Award in 2007. The mission of IGDA Finland is to promote the development of careers and professional skills of individual game developers (and individuals of related industries) based in Finland, and to further develop the international recognition of the Finnish game developer community.